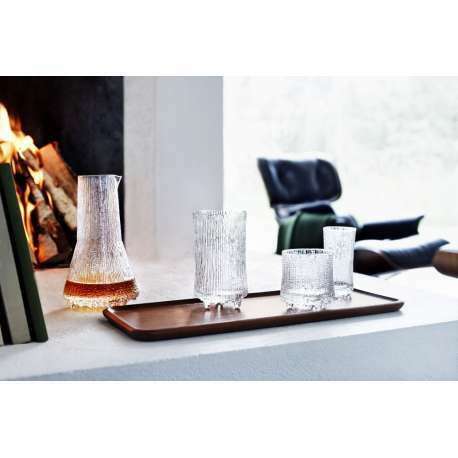 Tapio Wirkkala designed the Ultima Thule glassware in 1968, inspired by the melting ice in Lapland. The glassware was used first by Finnair in 1969, and later in their first class. 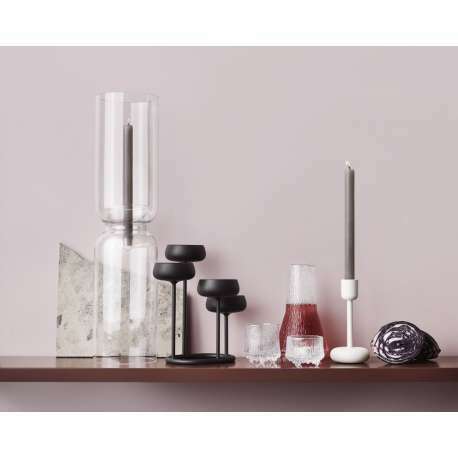 It became the most popular glassware collection Iittala ever produced. The premium Ultima Thule glasses, bowls, pitchers, candleholders, … reflect the thousands of hours spent finishing the glass-blowing technique needed to produce the unique effect. Spoil your guests and serve their drinks in this marvellous pitcher of 50 cl in clear glass. Designcollectors also offers matching glasses of 5 cl, 20 cl, 28 cl and 38 cl for liquor, water, whisky, beer, lemonade, etc.